Accomplishing SEO for an enterprise website containing hundreds or thousands of products is not an easy feat, even with helpful optimized templates and proper automation in place.Fortune 1000 company or not, your website may still require Enterprise SEO if it is large enough. Enterprise websites can obtain links much faster than smaller web properties thanks to larger budgets allowing them to produce and promote significant content on a much greater scale. It is imperative to track what competitors are accomplishing in order to secure and improve your market position.Enterprise websites obtain a higher number of visits through branded searches. This is typically why they are poorly optimized for other keyword phrases. Enterprise SEO requires more focus organic keyword search. 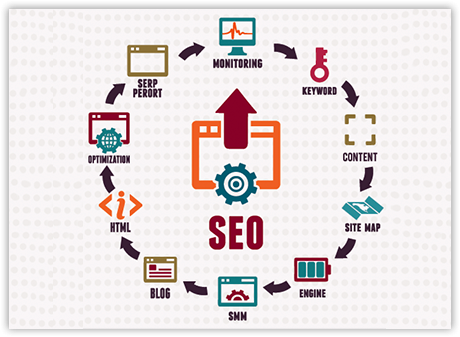 Joining forces with other departments, ensuring and stimulating appropriate content optimization and tagging and guaranteeing the unity of strategies and messages between a number of social media accounts and third party directories are all central components of Enterprise SEO. Take your business to the next level with the help of Social SEO.